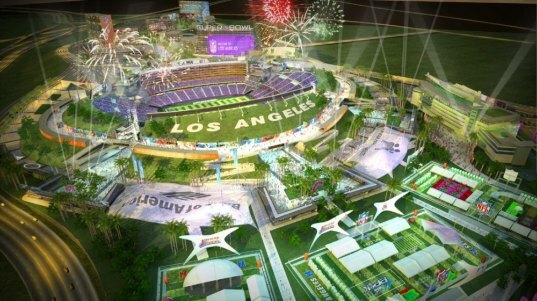 Los Angeles Stadium to be First LEED Certified NFL Stadium | Inhabitat. A design for the new Los Angeles NFL stadium is in the works and it is set to be the first NFL stadium ever to become LEED certified. Designed by Aedas, a global architecture firm, the Los Angeles Stadium might be finished as early as the 2011 football season, although what NFL team will make its home there is still unknown. Aedas has designed the eco stadium to be a multi-purpose venue and has also included a significant commercial and entertainment sector. With smart design, reduced CO2 emissions and major recycling initiatives, the LA Stadium will be a great boon to the city.